The Tibetan mandala is a way to grow in mercy and reach enlightenment. It’s considered to be modern of both the inner world and the central university where gods live. 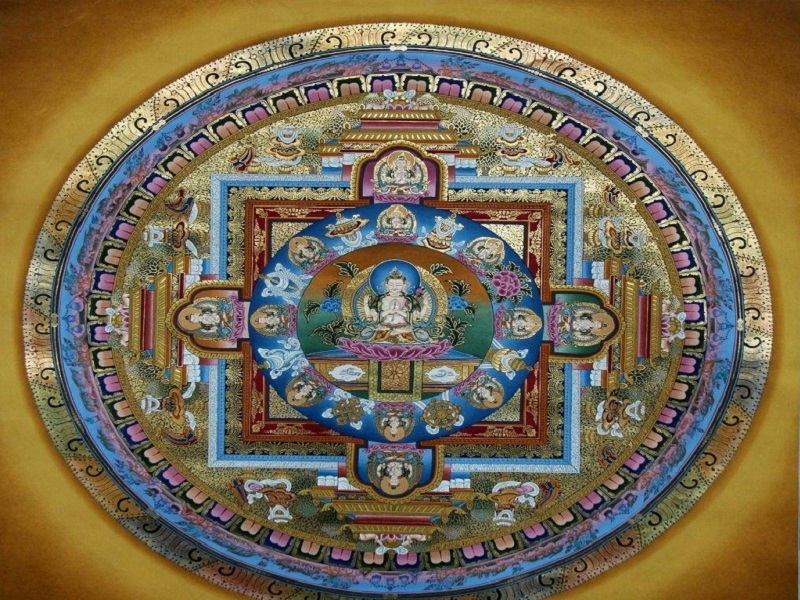 As an important tool for healing, Tibetan mandala is usually designed in symmetrical shapes with a central point and a pattern of alternate circles and squares. When monks and yogis practice meditation, they usually concentrate on the mandala and imagine them fall into the paradise in the picture. It’s a great honor to communicate with the divine consciousness and be blessed by the deities who reside in one’s subconscious. The mandala can be a great help to the spiritual ascension. Mandalas drawn with sand are unique to Tibetan Buddhism and are considered to have the effect of healing and purification. 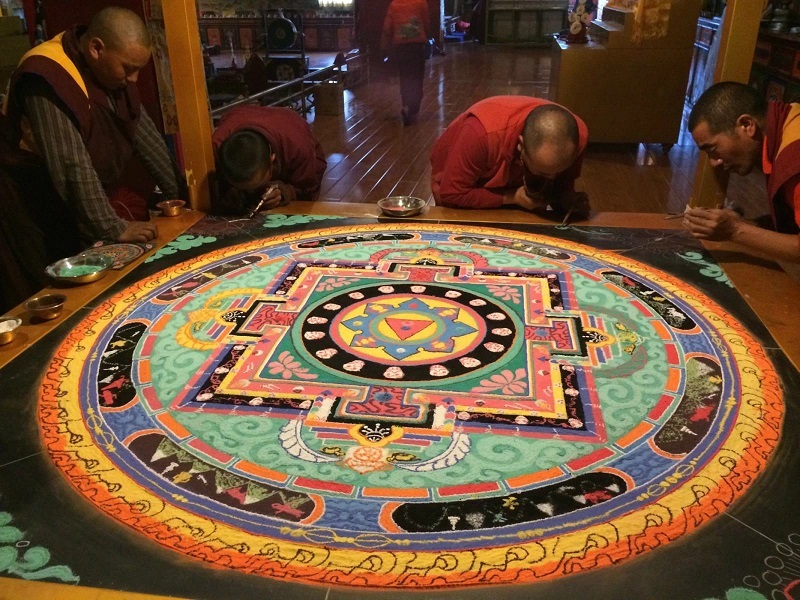 Generally, a master who is highly respected choose the specific image for mandala before the creation, then the monks begin to draw an outline for the sand mandala by blessing to the site with sacred chants. In the following days, these creators will complete the masterwork from memory with countless grains of sand in several colors. Once finished, the artwork will be consecrated to the Gods and be destroyed by the monks by sweeping up the colored sands and pouring the powder into the water. This behavior reminds us of impermanence and living in the present. According to Buddhist teachings, the sand mandala possesses divine powers that could make the meditators more blissful and peaceful. When a sand mandala is under construction, monks chant and pray to the gods who live in the mandala for blessing and healing energies. 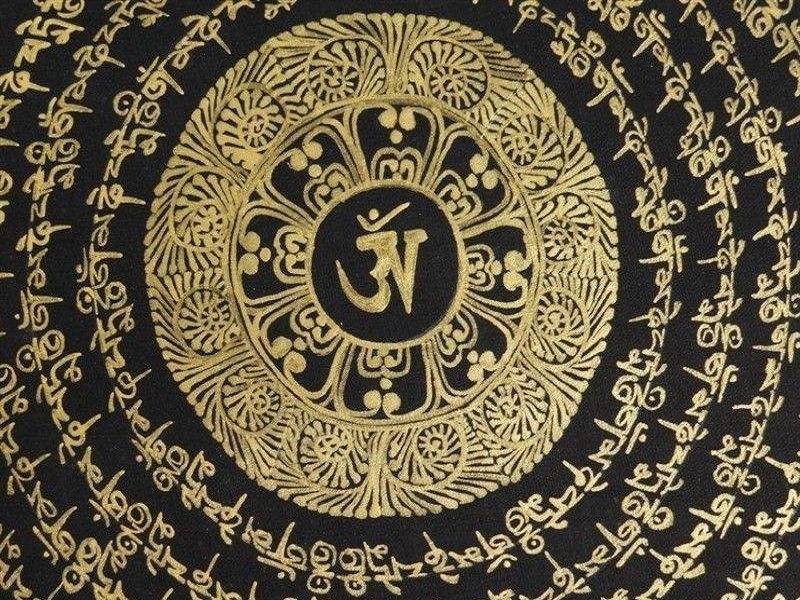 Once activated, the healing power of a mandala will extend to the whole world as a blessing and shall never fade away even after it’s removed and dropped into the water by the monks. Sakyamuni, the Buddha who founded Buddhism in India during the fifth century B.C. taught The Reality of Being under the Bodhi tree. 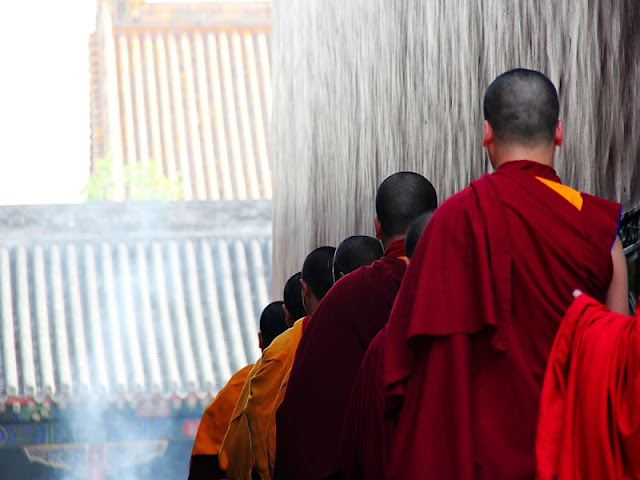 Tibetan Buddhism, which developed in the 7th century after the introduction of Buddhism to Tibet, absorbed the main advantages from Indian Buddhism: Awakening to one’s true self, saving all beings from eternal suffering and living forever in the blessed land. 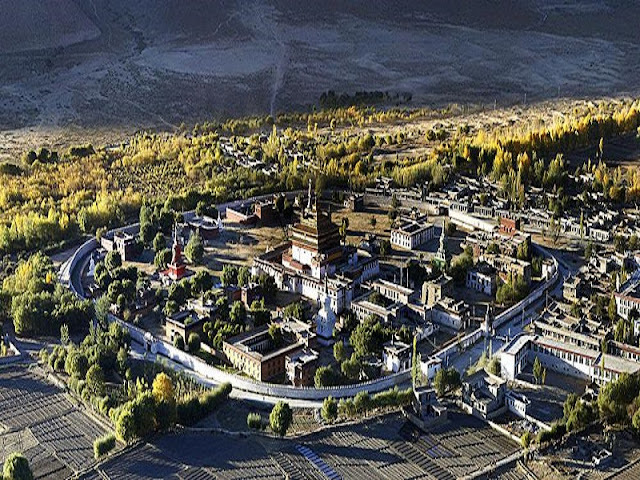 As the origin of Tibetan Buddhism, Samye Monastery is designed to a wonderful 3D Mandala. Many exquisite Mandalas kept there make the temple a must-go place for a Tibet Lhasa trip. As the world’s highest palace, the Potala Palace is the landmark of Tibet. A galaxy of masterpieces including a great number of bronze Mandalas of joss and pictures of Mandalas are well preserved there. With a history of more than 1,300 years, Jokhang Temple is the top place where the 12-year-old-like Shakyamuni statue and countless treasures have been placed. With the shape of a giant Mandala, the Jokhang Temple is also a holy place to enjoy the sight of splendid Mandalas.